Welcome to a special edition of the Fund This column! Each week, we generally look at a planned web series or other online video project currently in search of funding on crowdfunding sites. We’ll tell you what the series is all about and explain why it is worth your money. We’ll also occasionally take a look at the greater crowdfunding industry and its mechanics. Do you have a project that’s currently being crowdfunded? Contact us to let us know and we may feature it in upcoming installments and check out previous installments right here. This installment of Fund This is brought to you by Patreon and first appeared on the Patreon Blog. Have you ever wondered how other creators are using data to inform the content they create, the engagement of their their audience, and their future success? Read on to hear rich data insights from Patreon creator Steve Thorne from Flight Chops! I recently interviewed Steve Thorne, filmmaker and aviator who makes immersive flying videos over on his content-packed Patreon page. Steve was originally a cinematographer working in industry, but with the age of goPro, started experimenting with filming his flights and using his expert editing skills to craft context-filled flying videos. 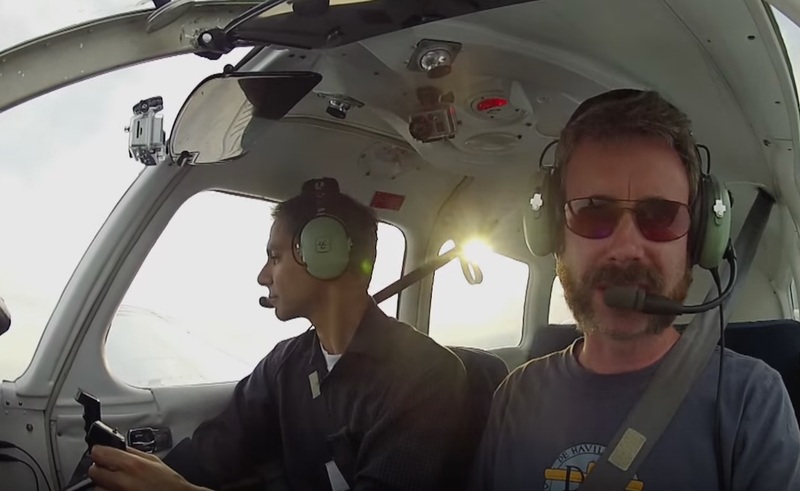 Initially using these videos to improve his own skills as a pilot and to show to a few friends, Steve eventually shared his videos with a wider audience and (no surprise given the quality of the videos) took off within the flying community. I was interested in how Steve uses data and analytics to inform his business. Especially for new creators, it can be overwhelming to think of the data at your fingertips, whether you’re scrolling through your own Patreon creator dashboard, or diving into your YouTube or Google analytics for your content or website. Steve had a ton of advice to share, especially about the existing wealth of data resources and how to tweak content based on data insights. When Steve got started on Patreon, one of the first things he looked at was conversion. He compared subscriber counts on YouTube to patron numbers, to get a sense of his expected success before launching his page. “In the niche that I’m in, I didn’t expect it to go as well as it went, just because of the numbers,” Steve says. But because Steve was hitting a niche audience, his conversion ended up being much better than expected. This is a great example of how numbers can be misleading: despite some creators with lower conversion, Steve was able to find a niche community where more people were willing to support his work. Resources off Patreon also provide insights: Steve uses Graphtreon to study his page’s pledge trends over time and YouTube analytics to get insight on his content. For example, Steve changed around his formula for formatting his videos to improve viewer retention based on insights from the YouTube retention tool. Seeing where people clicked off on his videos helped him understand where to make the content more engaging. Looking at how your earnings are trending over time can allow you to better budget next month’s spending, and in Steve’s case, can even provide the confidence that you’ll earn enough later to make up for a big expense now. Data is useful, but it’s not useful until you have some content and at least a small community off of which to drive insights. Steve’s recommendation is to “figure out what it is that engages your community…then watch the numbers to see what’s working and tweak.” I couldn’t agree more. This installment of Fund This is brought to you by Patreon, the best way for video creators to get ongoing funding directly from their fans. Over 25,000 creators are using Patreon to do things like increase production value, hire more staff, and expand revenue sources. Learn more about funding your future on Patreon.